Tokyo, April 19, 2017 – Subaru Corporation today announced that the Impreza made the Wards 10 Best Interiors list for interior design and styling, and also for its easy-to-use multimedia system. Published by the respected automotive industry website WardsAuto, the 7th annual competition recognizes outstanding achievement in aesthetics, comfort, ergonomics, materials usage, fit-and-finish and user-friendly electronics. There is no price cap and the nominees consist of interiors that are all-new or have been significantly improved from the prior year. This year, 31 interiors were eligible. Subaru earned its first spot on Wards 10 Best Interiors with the all-new Impreza. 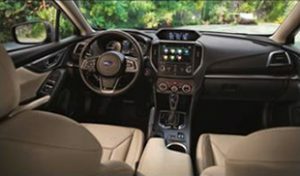 The interior design follows Subaru’s “Dynamic x Solid” philosophy by creating a bold and refined theme with continuous form throughout the cabin. The new design direction is further emphasized by a clean, intuitive center stack with multifunction display, center air vents, updated multimedia system and climate control. 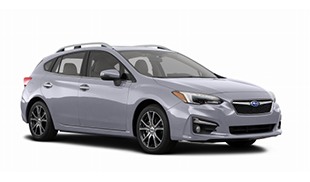 Subaru is committed to offering a distinctive “enjoyment and peace of mind” driving experience to customers worldwide through its brand statement of “Confidence in Motion”. Subaru will continue to enhance its primary, active, passive, and pre-crash safety technologies under its “all-around safety” principle, which underpins enjoyment and peace of mind for all drivers and passengers. WardsAuto is a world-leading provider of automotive insights and analysis, having served the industry’s information needs for more than 90 years. A Southfield, MI-based division of Penton, WardsAuto provides a forward-looking perspective on all aspects of the automotive business, from the tech center to the plant floor to the showroom. Its services include the premium WardsAuto.com resource and suite of customizable data reporting tools, the WardsAuto Interiors and WardsAuto Outlook Conferences, and digital newsletters and magazines. Subscribe to WardsAuto and attend its events by visiting http://www.wardsauto.com. Follow WardsAuto on Facebook and Twitter @WardsAuto.